Cool new site, www.Crowdfundfusion.com, now lets both crowdfunding campaign managers and crowdfunding platforms add their sites to this site’s aggregated crowdfunding shopping and review channels. Their current database has the largest and most popular crowdfunding sites such as Kickstarter, Indiegogo, Rockethub, Fundrazr and Fundly, which have collectively raised more than $1 Billion for successful, fully funded projects, but they are now asking every crowdfunding site to add their platform and crowdfunding campaigns to their database. Click here to add your crowdfunding platform or click here to add your active crowdfunding campaign to Crowdfundfusion’s database. CrowdfundFusion allows hobby investors to shop all the major crowdfunding sites such as Kickstarter, Indiegogo, RocketHuba and many more using a single site. As more and more crowdfunding platforms and portals add their crowdfunding campaigns to aggregated database, hobby investors can sort and start shopping for campaigns to support with their hard earned dollars. One cool feature is to look up any category’s active market statistics. So far they have more than a billion dollar’s worth of active projects under their shopping umbrella. The amount does does not include money that was pledged to successful or failed projects that have reached their crowdfunding campaign completion date. It is the first time in crowdfunding history one site has more than a billion dollars worth of active crowdfunding campaigns that can be perused in a single place. Co-founders Jonathan Mushey and Lenny Leblanc from Winnipeg, Canada created Crowdfundfusion.com, where projects from the largest and most popular crowdfunding sites can now add their active crowdfunding campaigns to be updated, sorted and combined into categories, sub categories and types to give visitors simple, intuitive ways to browse and compare projects from the different sites side by side. They also provide buttons that allow readers to sort on Starting, Trending, Ending, Completed and Wow! As a newly formed “social purpose company,” Make a Stand, Inc. SPC (formerly Make a Stand Lemon-aid) has just launched a campaign to raise $200,000 through Fundly, a leading crowdfunding site for social causes. 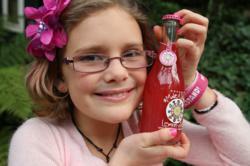 This start-up funding will help “bottle” the fair-trade and certified organic “lemon-aid” later this spring. Eventual net profits from the lemon-aid will go to organizations committed to ending child slavery. Vivienne Harr, 9, the founder and inspiration for Make a Stand, notes that: “I count every penny because every penny counts. You never know which penny will free a child and change the world!” For her, any contribution, large or small, allows anyone to be part of this historic movement to end child slavery in our lifetime. Vivienne’s recent awards and accolades also continue to help build the movement’s momentum. Today she attends the East Bay Women’s conference, and yesterday she was the first child to ever receive the Interfaith Council of Contra Costa County’s “Making a Difference Award.” Last month she was a featured speaker at the conference Wisdom 2.0. San Francisco District Attorney George Gascón has also awarded her a Certificate of Honor for her work to end child slavery. Additionally, Make a Stand Lemon-aid was just named Fundly’s Most Inspirational Campaign of 2012.